Creating a nutrition plan includes providing a complete and balanced diet for patients, establishing nutrient goals, selecting an appropriate food, and determining how much to feed. Provide a complete and balanced diet appropriate for the pet’s species (dog vs. cat) and Life Stage Nutrition (growth, reproduction or adult maintenance). The diet should help the pet achieve and maintain an ideal body condition score (BCS). 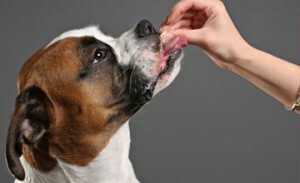 See this article for more information regarding feeding large breed puppies. Establish additional nutrient goals depending on the pet’s medical history. For example, pets with chronic kidney disease may benefit from diets lower in protein and phosphorus. This step will help to guide diet selection. View the handout on Selecting the Best Food for Your Pet for recommended guidelines on evaluating pet foods. The WSAVA toolkit provides excellent resources for veterinary team members and clients. Read more information regarding Understanding Pet Food Labels. Caloric Goals: Adjust calorie intake to achieve and maintain an ideal body condition score (BCS). If the pet already has an ideal BCS, continue at current calorie intake. If the patient is overweight, refer to the PNA Calculator to help with an initial estimate of calorie requirements and reassess in 2 weeks. Total daily calorie intake can be divided into smaller meals as desired. Treat Goals: Since most owners offer treats, they should be incorporated into the daily intake (the PNA calculator includes this option). Treats should be limited to no more than 10% of daily calorie intake. Treats include any food item that is not complete and balanced, such as commercial treats, people foods, chews, etc. Look for treat options that fit with the pet’s nutrient goals. If you have case with complex nutritional issues, consider consult or referral to a board-certified veterinary nutritionist. 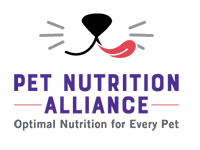 The American College of Veterinary Nutrition (ACVN) provides a directory of board-certified veterinary nutritionists. What’s Next? Delivering a Nutritional Recommendation!